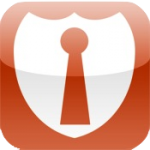 Users of MyKeePass on the iPad may have noticed in the past that they were unable to upload their KeePass files from their desktops to their iPads. There’s a warning on the App Store page that states the app isn’t iPad compatible, there are comments on the developer’s site mentioning the issue and workarounds, and I was able to reproduce the problem in the past as well. In an attempt to find a workaround, I just tried the upload feature and it now works for me for some reason. So far it seems to work fine, but I’ve only been testing for about 30 minutes as I write this.